The renewable electricity market has witnessed an unprecedented acceleration in recent years, and it broke another annual deployment record in 2017. The market’s main driver last year was solar photovoltaics, which is boosting the growth of renewables in power capacity around the world. As costs decline, wind and solar are becoming increasingly comparable to new-build fossil fuel alternatives in a growing number of countries. China remains the dominant player, but India is increasingly moving to the centre stage. Government policies are introducing more competition through renewable auctions, further reducing costs. 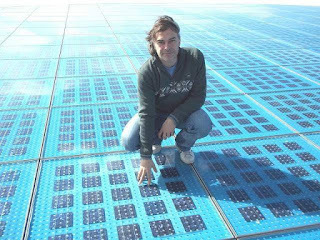 Solar energy is the conversion of sunlight into usable energy forms. Solar photovoltaics (PV), solar thermal electricity and solar heating and cooling are well established solar technologies. Solar photovoltaic (PV) systems directly convert solar energy into electricity. Solar PV combines two advantages. On the one hand, module manufacturing can be done in large plants, which allows for economies of scale. On the other hand, PV is a very modular technology. It can be deployed in very small quantities at a time. This quality allows for a wide range of applications. Systems can be very small, such as in calculators or off-grid applications, up to utility-scale power generation facilities. In 2017, cumulative solar PV capacity reached almost 300 GW and generated over 310 TWh, 26% higher than in 2015 and representing just over 1% of global power output. Utility-scale projects account for 55% of total PV installed capacity, with the rest in distributed applications (residential, commercial and off-grid). Over the next five years, solar PV is expected to lead renewable electricity capacity growth, expanding by almost 440 GW under the Renewables 2017 main case. As PV generates power from sunlight, power output is limited to times when the sun is shining. However, as the IEA’s analysis on the system integration of variable renewable renewables has highlighted, a number of options (demand response, flexible generation, grid infrastructure, storage) exist to cost-effectively deal with this challenge. Concentrating solar power (CSP) devices concentrate energy from the sun’s rays to heat a receiver to high temperatures. This heat is then transformed into electricity – solar thermal electricity (STE). From a system perspective, STE offers significant advantages over PV, mostly because of its built-in thermal storage capabilities. CSP plants can continue to produce electricity even when clouds block the sun, or after sundown or in early morning when power demand steps up. Both technologies, while being competitors on some projects, are ultimately complementary. The deployment of CSP plants is at a stage of market introduction and expansion. In 2016, the installed capacity of CSP worldwide was 4.8 GW, compared to 300 GW of solar PV capacity. CSP capacity is expected to double by 2022 and reach 10 GW with almost all new capacity incorporating storage. CSP with storage can increase the flexibility of an energy system, facilitating the integration of variable renewable technologies such as solar PV and wind. Solar thermal technologies can produce heat for hot water, space heating and industrial processes, with systems ranging from small residential scale to very large community and industrial scale. The required temperature to meet the heat demand determines the collector type and design. Cumulative installed capacity of solar thermal installations reached an estimated 456 GWth by the end of 2017. However, the market continued to slow in 2017 for the third year in a row, as total annual installations decreased by 9% owing mainly to a continual slowdown in China. To 2022, solar thermal heat consumption is expected to grow by over one-third, with installations in the buildings sector driving most of the increase. In the growing global market for cooling, there is also a huge potential for cooling systems that use solar thermal energy. By the end of 2016, an estimated 1,350 solar cooling systems were in operation globally. Wind energy is developing towards a mainstream, competitive and reliable power technology. Globally, progress continues to be strong, with more active countries and players, and rapidly increasing installed capacity and investments. Technology improvements (such as larger turbines) have continuously reduced costs, with some particularly impressive cost reductions for offshore wind in recent years. The industry has overcome supply bottlenecks and expanded supply chains. Wind-generated electricity met close to 4% of the world’s electricity demand in 2015—a record-setting year with more than 63 GW of new wind power capacity installed. The global wind energy potential is vast: wind could account for up to 30% of global power generation by 2040, according to the World Energy Outlook 2016. Like with solar PV, the output from wind power is variable. However, countries like Denmark, which already has a wind share of around 40% of electricity production, have demonstrated that this variability can be dealt with through appropriate system operation and market design measures. Onshore wind is a proven, mature technology with an extensive global supply chain. Onshore technology has evolved over the last five years to maximise electricity produced per megawatt capacity installed to unlock more sites with lower wind speeds. Machines have become bigger with taller hub heights, larger rotor diameters and in some cases bigger generators depending on the wind and site-specific conditions. Onshore wind leads global renewable energy growth, accounting for over one-third of the renewable capacity and generation increase in 2015. Onshore wind generation is expected to almost double by 2021 and reach 1545 TWh. Deploying turbines in the sea takes advantage of better wind resources than at land-based sites. Offshore turbines, therefore, achieve significantly more full-load hours. Furthermore, offshore wind farms can be located near large coastal demand centres, often avoiding long transmission lines to get power to demand, as can be the case for land-based renewable power installations. This can make offshore particularly attractive for countries with coastal demand areas and land-based resources located far inland, such as China, several European countries and the US. While needing to satisfy environmental stakeholders, offshore wind farms generally face less public opposition and, to date, less competition for space compared with developments on land. As a result, projects can be large, with the 630 MW London Array wind farm currently being the largest in the world. In 2015, global offshore wind generation reached an estimated 38 TWh, 50% higher than in 2014. At the end of 2015, global offshore wind cumulative capacity was 12 GW, and this is expected to triple by 2021. The expansion of offshore wind is being helped by rapid costs reductions thanks to competitive auctions and larger turbines sizes. In late 2016, the winning bid for the Borssele III and IV Wind Farms in the Netherlands reached a new record low cost of €55/MWh. Ocean power accounts for the smallest portion of renewable electricity globally, and the majority of projects remain at the demonstration phase. However, with large, well-distributed resources, ocean energy has the potential to scale up over the long term. Tidal power: the potential energy associated with tides can be harnessed by building a barrage or other forms of construction across an estuary. Tidal (marine) currents: the kinetic energy associated with tidal (marine) currents can be harnessed using modular systems. Wave power: the kinetic and potential energy associated with ocean waves can be harnessed by a range of technologies under development. Temperature gradients: the temperature gradient between the sea surface and deep water can be harnessed using different ocean thermal energy conversion (OTEC) processes. Salinity gradients: at the mouth of rivers, where freshwater mixes with saltwater, energy associated with the salinity gradient can be harnessed using the pressure-retarded reverse osmosis process and associated conversion technologies. Tidal projects produce variable, but highly predictable, energy flows. Generation from wave power is variable, depending on the state of the sea. None of these technologies is widely deployed as yet. The engineering challenges associated with efficiently intercepting energy from wave or tidal power are significant, particularly given the need to survive and operate in difficult conditions. Other issues that need to be considered include impacts on marine life, the marine environment and other marine users such as shipping, fishing industry, etc. Tidal barrages are most advanced as they use conventional technology. However, only two large-scale systems are in operation worldwide; the 240 MW La Rance barrage in France has been generating power since 1966, while the 254 MW Sihwa barrage (South Korea) came into operation in 2011. Other smaller projects have been commissioned in China, Canada and Russia. For other ocean technologies, design concepts are still being researched but the leading ones have now reached the point where megawatt scale installations are being demonstrated. The largest demonstration project is the 6 MW MeyGen tidal array in Scotland. Bioenergy accounts for roughly 9% of world total primary energy supply today. Over half of this relates to the traditional use of biomass in developing countries for cooking and heating, using inefficient open fires or simple cookstoves with impacts on health (e.g. due to indoor smoke pollution) and the environment. Modern bioenergy on the other hand is an important source of renewable energy, its contribution to final energy demand across all sectors is five times higher than wind and solar PV combined, even when the traditional use of biomass is excluded. Around 13 EJ of bioenergy was consumed in 2015 to provide heat, representing around 6% of global heat consumption. In recent years, bioenergy for electricity and transport biofuels has been growing fastest, mainly due to higher levels of policy support. Within the industry sector, bioenergy use is common in industries which produce biomass residues on site, such as the pulp and paper industry, as well as the food processing sector, where it provides low- and medium-temperature process heat. Modern bioenergy is also widely used for space and water heating, either directly in buildings or in district heating schemes. Furthermore, around 500 TWh of electricity was generated from biomass in 2016, accounting for 2% of world electricity generation. Liquid biofuels can be used to decarbonise the transport sector, which is still more than 90% dependent on oil. In 2017, transport biofuels provided 4% of world road transport fuel demand, with the United States and Brazil the largest producers. Biofuel production is expected to rise to 159 billion litres in five years’ time. In the long-term bioenergy has an essential role to play in a low-carbon energy system. For instance, modern bioenergy in final global energy consumption increases four-fold by 2060 in the IEA's 2°C scenario (2DS), which seeks to limit global average temperatures from rising more than 2°C by 2100 to avoid some of the worst effects of climate change. Within this scenario it plays a particularly important role in the transport sector, where it helps to decarbonise long-haul transport (aviation, marine and long-haul road freight). Sustainability of bioenergy supply chains is an important consideration and strong governance frameworks are needed to ensure that bioenergy use provides environmental and social benefits. As such there is growing recognition that only bioenergy supplied and used in a sustainable manner can play a role in a low carbon energy future. Biomass: any organic matter, i.e. biological material, available on a renewable basis. Includes feedstock derived from animals or plants, such as wood and agricultural crops, and organic waste from municipal and industrial sources. Bioenergy: energy generated from the conversion of solid, liquid and gaseous products derived from biomass. Traditional use of solid biomass: The traditional use of solid biomass refers to the use of solid biomass with basic technologies, such as a three-stone fire, often with no or poorly operating chimneys. Geothermal energy can provide heating, cooling and base-load power generation from high-temperature hydrothermal resources, deep aquifer systems with low and medium temperatures, and hot rock resources. Geothermal heat is primarily used for bathing, swimming and space heating. 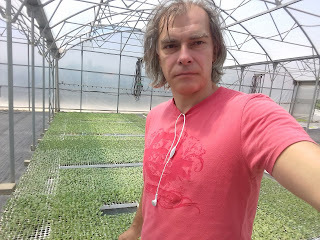 Use in agriculture, especially for heating greenhouses, is significant in some countries. For example, in Turkey agriculture accounts for 30% of geothermal direct use. Geothermal heat uses are often small-scale and two countries (China and Turkey) account for almost 80% of global geothermal heat use. Over the next five years, the biggest growth is expected in China, where geothermal district heating is expanding rapidly in a number of Northern cities to help tackle air pollution problems. In Europe, the use of geothermal heat in district heating is also growing, with the main markets in France, Netherlands, Germany, and Hungary. Geothermal power plants are particularly common in countries that have high-termperature geothermal resources. In 2015, global geothermal power generation stood at an estimated 82 TWh, while the cumulative capacity reached over 13 GW. Global geothermal power capacity is expected to rise to almost 17 GW by 2021, with the biggest capacity additions expected in Indonesia, Turkey, the Philippines and Mexico. Hydropower is the largest source of renewable power in the world, producing around 17% of the world’s electricity. Its growth has slowed in recent years but capacity additions are expected to continue and add 135 GW by 2021. China has driven global hydropwer growth over the last decade, with an almost tripling of hydropower generation from 2005 to 2015. The world’s largest power station, the 22.5 GW Three Gorges Dam in China, was completed in 2008. Over the next five year’s China’s role in the global market is likely to decline. Hydropower is a mature technology, yet it continues to evolve. There has been increasing focus on the role it can play in providing system flexibility and stability, respecially where the share of variable renewables – primarily wind power and solar photovoltaic (PV) – is increasing rapidly. Reservoir hydropower plants and pump storage plants are particularly suited to providing system flexibility, while run-of-the river hydropower plants are themselves variable according to current or seasonal weather conditions. Run-of-river hydropower plants harness energy for electricity production mainly from the available flow of the river. 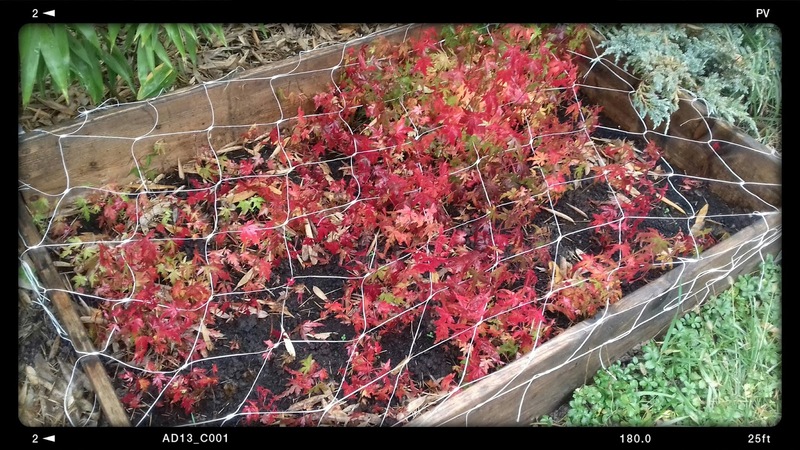 These plants may include short-term storage or “pondage”, allowing for some hourly or daily flexibility but they usually have substantial seasonal and yearly variations. Reservoir hydropower plants rely on stored water in a reservoir. This provides the flexibility to generate electricity on demand and reduces dependence on the variability of inflows. Very large reservoirs can retain months or even years of average inflows and can also provide flood protection and irrigation services. Pumped storage plants (PSPs) use water that is pumped from a lower reservoir into an upper reservoir when electricity supply exceeds demand or can be generated at low cost. When demand exceeds instantaneous electricity generation and electricity has a high value, water is released to flow back from the upper reservoir through turbines to generate electricity. Pumped storage currently represents 99% of on-grid electricity storage. To put these issues in perspective, the most potentially impactful policies have not yet been finalized. And despite short-term uncertainty, renewable power sources are riding some very strong tailwinds that will likely continue to promote growth in the longer term. The needs to develop more sustainable agriculture systems and improve weak rural economies necessitate major changes in agriculture management. Soil degradation, including decreased fertility and increased erosion, is a major concern in agriculture. 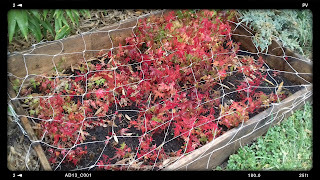 Long term cultivation of soils could result in degradation, containing soil acidification, soil organic matter depletion, and severe soil erosion. Furthermore, the decrease in soil organic matter decreases the aggregate stability of soil, therefore, it is crucial to remediate the degradation soils by simple and sustainable methods. 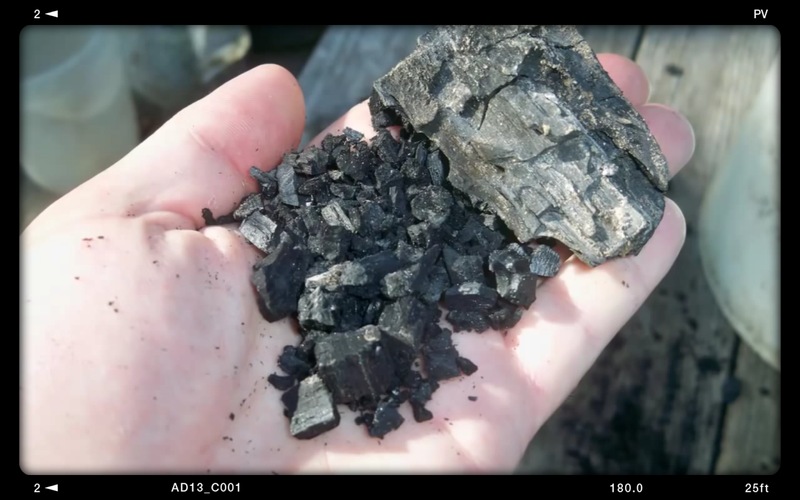 The thermal process that produces biochar is called pyrolysis, pyro, meaning fire and lysis, meaning separation. During pyrolysis, the crucial trace elements found in plants (over 50 metals) become part of the carbon structure, thereby preventing them from being leached out while making them available to plants via root exudates and microbial symbiosis. A range of organic chemicals are produced during pyrolysis. Some of these remain stuck to the pores and surfaces of the biochar and may have a role in stimulating a plant’s internal immune system, thereby increasing its resistance to pathogens. The effect on plant defense mechanisms was mainly observed when using low temperature biochars.This potential use is, however, only just now being developed and still requires a lot of research effort. Soil mineral depletion is a major issue due mainly to soil erosion and nutrient leaching. 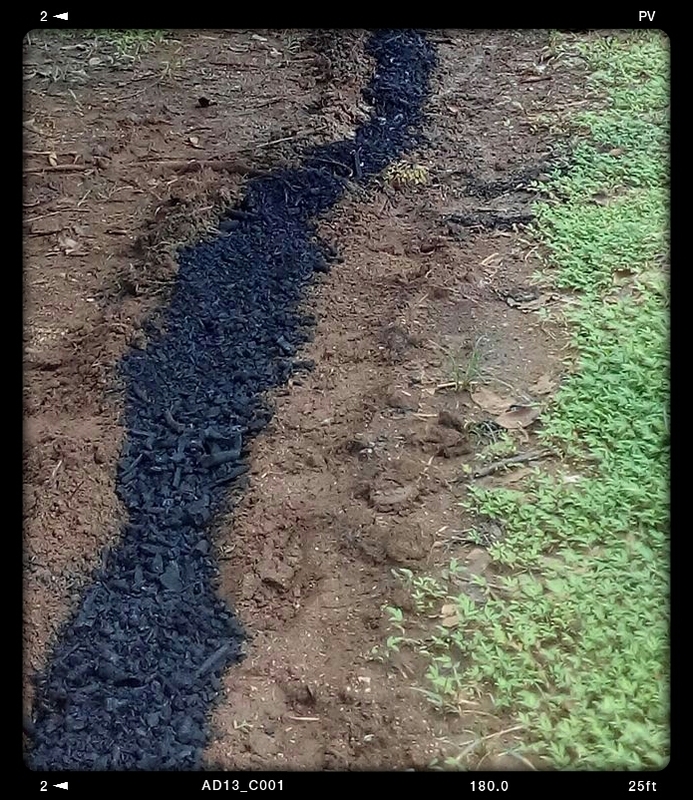 The addition of biochar is a solution because biochar has been shown to improve soil fertility, to promote plant growth, to increase crop yield, and to reduce contaminations. 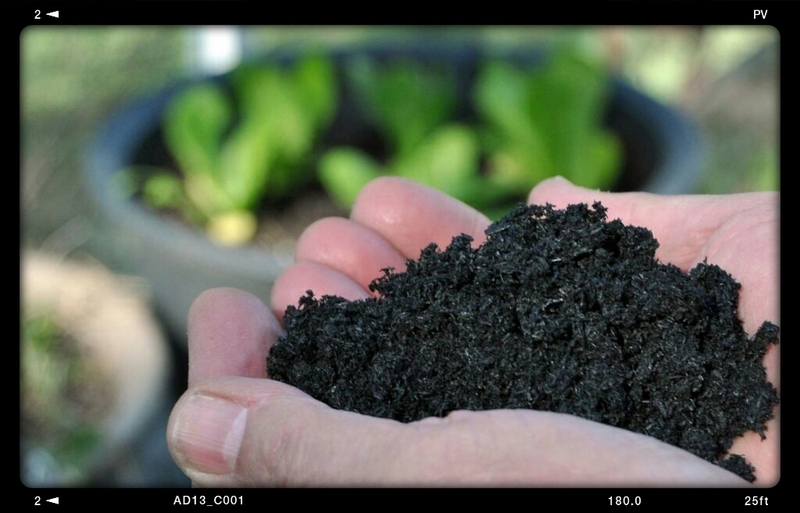 We review here biochar potential to improve soil fertility. The main properties of biochar are the following: high surface area with many functional groups, high nutrient content, and slow-release fertilizer. Biochar is much too valuable for it to be just added to soil without using it at least once for other beneficial purposes. Basic uses include: drinking water filtration, sanitation of human and kitchen wastes, and as a composting agent. All of these uses have been documented in many different pre-industrial cultures. In the modern world, the uses multiply: adsorber in functional clothing, insulation in the building industry, as carbon electrodes in capacitors for energy storage, food packaging, waste water treatment, air cleaning, silage agent or feed supplement. All those uses could be part of more complex cascades when, after extended up- and down cycling, biochar can be used in a farmer’s manure slurry pit or in a sewage treatment plant, before being composted and thus finally becoming a soil amendment. 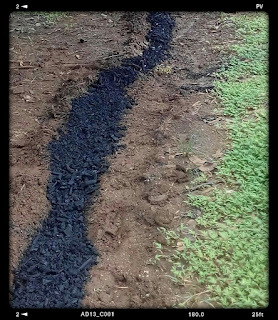 Biochar should only be worked into the soil at the end of such cascades, keeping in mind that some biochar uses, for cleaning up metal or chemical contamination, would render the biochar unsuitable for agricultural soils and need different recycling pathways. At present some 40% of the biochar used in Croatia goes into animal farming. Different to its application to Croatian fields, a farmer will notice its effects within a few days. Whether used in feeding, litter or in slurry treatment, a farmer will quickly notice less smell. Used as a feed supplement, the incidence of diarrhea rapidly decreases, feed intake is improved, allergies disappear, and the animals become calmer. In Germany, researchers conducted a controlled experiment in a dairy that was experiencing a number of common health problems: reduced performance, movement disorder, fertility disorders, inflammation of the urinary bladder, viscous salivas, and diarrhea. Animals were fed different combinations of charcoal, sauerkraut juice or humic acids over periods of 4 to 6 weeks. Experimenters found that oral application of charcoal (from 200 to 400 g/day), sauerkraut juice and humic acids influenced the antibody levels to C. botulinum, indicating reduced gastrointestinal neurotoxin burden. They found that when the feed supplements were ended, antibody levels increased, indicating that regular feeding of charcoal and other supplements had a tonic effect on cow health. 20% of the biochar used in Croatia goes into soil. 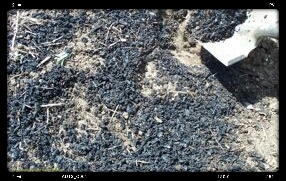 The application of biochar into soils has great potential for improving soils fertility and promoting plant growth. The choice of biochar managing various soils is flexible, because diverse biomass materials could be used as feedstocks of biochars and the feedstocks could be pyrolyzed at different temperatures. 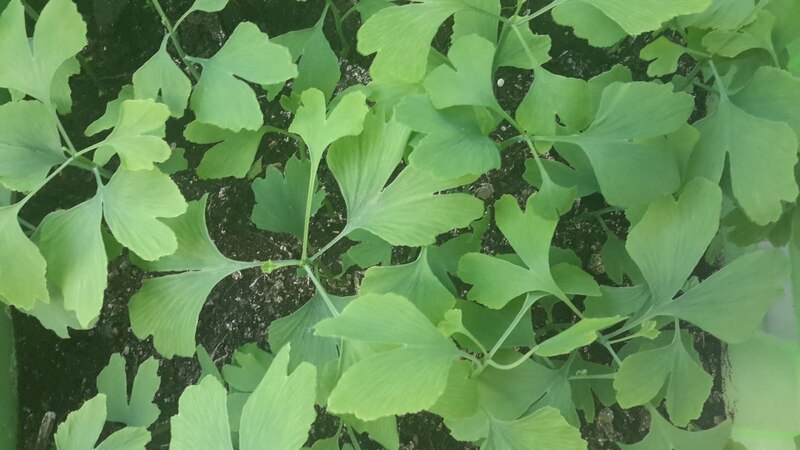 Moreover, biochar has huge surface area, well-developed pore structure, amounts of exchangeable cations and nutrient elements, and plenty of liming. Because of these properties, soil properties could be improved after biochar treatment. For instance, the huge surface area and well-developed pore structure may increase the water holding capacity and microbial abundance. The cation exchange capacity and availability of nutrients could be increased due to the amounts of exchangeable cations and nutrient elements. The increased pH of soils should be attributed to the plenty of liming contained in biochar. Therefore, improvements of soil physical, chemical, and biological properties promote the productivity of plant through increasing the amount of nutrient elements, enhancing availability of nutrient elements, reducing nutrient leaching, and mitigating gaseous nutrients losses. 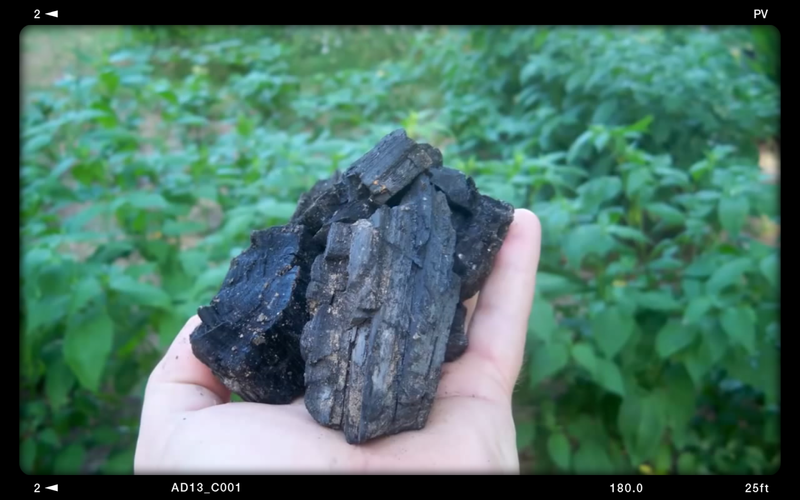 These results of characterization analyses, column experiments and some field trials indicated that biochar could be designed or may have the potential to manage specific soil purposefully, through controlling the feedstock and pyrolysis conditions. 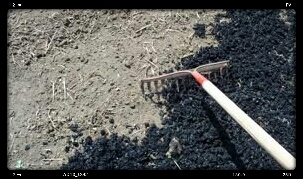 Biochar can be a novel and feasible fertilizer directly or indirectly. This is not only because of the biochars fertility but also their environmental and economic benefits. Despite the interests of using biochars to manage soils is increasing, some studies are also reported the negative effects and a number of research gaps as well as uncertainties still exist as discussed above in this review. In order to clear these knowledge gaps, further relevant investigations are inevitable in the following research, especially long-term experiments. There are around 20,000 described bee species worldwide. 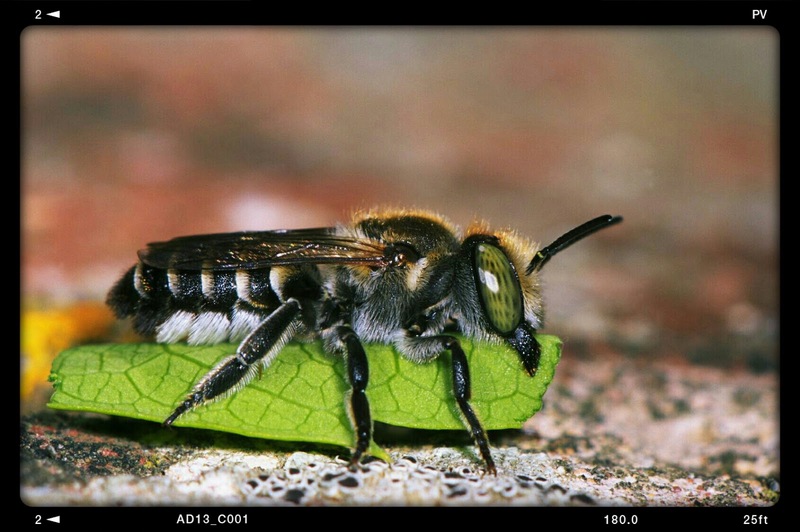 Most of these bees are known as solitary bees with only 250 bumblebee species, 9 honey bee species and a number of social stingless bees worldwide. 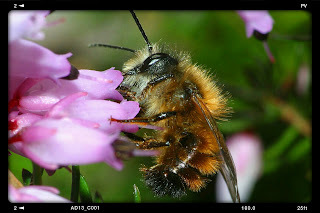 In Croatia we have around 270 species of bee, just under 250 of which are solitary bees. These bees can be amazingly effective pollinators and as the name suggests tend not to live in colonies like bumblebees and honey bees. 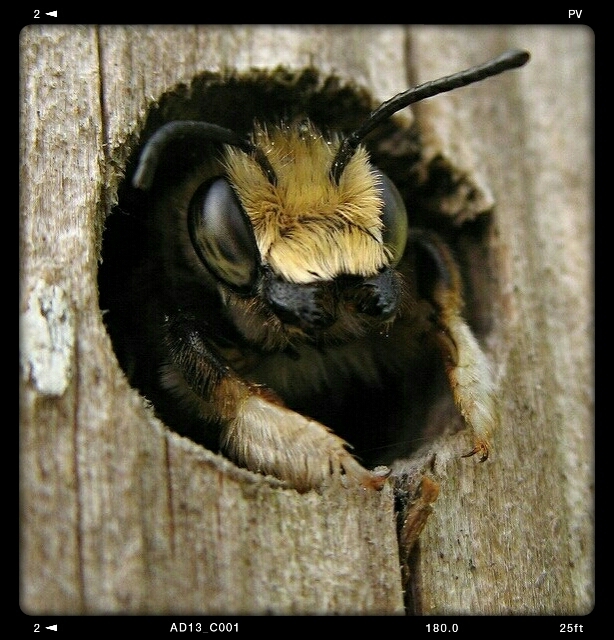 Solitary bees in Croatia are highly diverse, therefore so are their nesting habits. The majority of species nest in the ground, excavating their own nest. The female builds the nest by herself. She chooses a suitable piece of ground in which to nest and uses her body to dig out a nesting chamber in the ground. She adds pollen to the chamber, which is often moistened with nectar, and lays an egg. She then seals off that section of the nest before moving onto the next chamber. 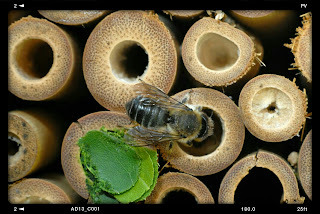 Although most solitary bees nest solitarily, in suitable nest sites you often find aggregations of nests. There are also a number of species in Croatia that nest in the ground but create turrets over their nests, these are often very distinctive. Da bi voćke imale plod, moraju biti oprašene, a to se kod različitih vrsta voćaka postiže na različite načine. Jezgričave vrste (jabuka i kruška) i neke koštičave vrste same su po sebi neplodne, pa moraju biti oprašene peludom neke druge sorte. Uz pčele, tome mogu pridonijeti i drugi kukci: bumbari, ose, leptiri ili kornjaši. Najpoznatija je pčela medarica koja živi u košnici. U proljeće izlijeće kada su temperature zraka više od 12*C, aktivna je na 15*C, a najaktivnija na 20*C. Letačice donose nektar, hranu za maticu i podmladak. Opskrbljene rezervom hrane pri nižim temperaturama od 12*C ne moraju van iz košnice. Njihova brojnost u voćnjaku može se regulirati brojem postavljenih košnica. Bumbari su također dobri oprašivaći. Postoji veliki broj vrsta: livadski, šumski, planinsko-šumski, vrtni, voćni i drugi. Pojedine vrste bumbara žive u tlu, druge vrste žive iznad površine tla. Imaju krupno tijelo prekriveno dlakama. U proljeće se javljaju pri temperaturi od + 5*C, što je od osobite važnosti za oprašivanje ranih vrsta voćaka. Međutim, u proljeće u vrijeme cvatnje, bumbara je premalo i dok ojačaju svoja legla cvatnja je često već završena. Zato se preporuča postavljanje košnica za bumbare u blizini voćnjaka. Ali mi danas pišemo o jednoj vrsti pčele koja puno radi a malo se o njoj govori, solitarna pčela. Solitarne pčele vrhunski su oprašivači voćaka. Nalaze se tu oko nas, ali ne primjećujemo ih. Miroljubljive su i ne ubadaju. Važnu ulogu u voćnjaku imaju i pčele rezačice, koje gnijezda grade od dijelova lista. Svojom leglicom odrežu dio lista točno i precizno, pa ih zovu i pčelama krojačima. Solitarne pčele ne žive u košnicama, ne roje se, nemaju maticu, niti radilice, već sve rade same. Stoga ih zovemo samotarke, zidarice jer svoja gnijezda pregrađuju i zatvaraju blatom. Zovemo ih i "najboljim pčelama voćnjaka" jer se pojavljuju rano u proljeće kada se mogu vidjeti na tek rascvjetanim pupovima voćaka. Brojnost tih pčela u prirodi ovisi i o broju pogodnih staništa za zasnivanje gnijezda. Solitarne pčele iz roda Osmia zasnivaju svoja gnijezda u šupljinama bambusa ili barske trstike Phragmites australis, kojom su se nekada pokrivali krovovi kuća, u šupljinama starog drveća, u pukotinama i otvorima drvenih, te zidovima neožbukanih kuća. Odrasle jedinke solitarne pčele pojavljuju se u proljeće, najčešće s pojavom prvih cvjetova vrbe i voćaka. U prirodi je izlijetanje odraslih jedinki postupno. Aktivne su tijekom cvatnje voćaka pri temperaturi od 8*C dok ostale vrste još spavaju. Mužjak u proljeće izlazi prvi, sitniji je od ženke, duljine od 7-10 mm, a ženka od 8-16 mm duljine. Mužjak ima dulja ticala od ženke. Glava i grudni dio crni su, a trbušni dio smeđe žut. Tijelo ovih pčela prekriveno je gustim dlakama, pogotovu s trbušne strane. S pomoću tih dlaka solitarna pčela sakuplja pelud po cijelom tijelu i prenosi ga s cvijeta na cvijet, a potom i u gnijezdo, gdje sprema hranu za svoje potomstvo. To se događa od ožujka do konca svibnja, pa i u lipnju. Tijekom 10-12 tjedana života ženke ostave svoje potomstvo i uginu. Kad ženka solitarne pčele iz roda Osmia nađe tunel pogodan za zasnivanje gnijezda, najprije ga očisti, a zatim na dnu tunela napravi pregradu od blata. U odabrani i pripremljeni tunel donosi pelud i nektar te na to položi jaje. Na određenom razmaku ponovno pregradi tunel blatom, te nastavi kompletirati sljedeće ćelije istim redosljedom: pelud, nektar, jaje, pregrada od blata. U pogodnom tunelu solitarna pčela izgradi najčešće 6-8 ćelija, a može izgraditi i do 15, ovisno o dužini tunela. Najpogodniji je tunel dužine 10 do 12 cm, a optimalan je promjer otvora od 8 mm do 10 mm. Na ulazu u tunel ova pčela ostavi 2 cm slobodnog prostora za ulijetanje i izlijetanje i na koncu otvor zatvori debelim čepom od blata. Iz jaja se, u ovisnosti o temperaturi, za nekoliko dana izlegne ličinka. Kad ličinka potroši hranu, prelazi u stadij predkukuljice, a potom izgrađuje svoj svileni kokon. Koncem kolovoza ili tijekom rujna u kokonu se iz stadija kukuljice preobrazi u odraslu pčelu, koja, ovisno o temperaturi, izlijeće van u proljeće idu godine. Čovjek je narušio biološku ravnotežu, uništava biološku raznolikost, onečistio je okoliš, te utjecao na smanjenje broja ovih korisnih pčela u prirodi. Sve manji broj drvenih kuća, gdje su solitarne pčele nalazile svoje stanište, primjena novih građevinskih materijala uz već spomenuto ugrožavaju opstanak ovih vrsta. Posljednjih godina primjećeni su neki zdravstveni problemi. Jedan dio kokona iz bambusa ili trske se ne izleže i ostane u njoj. Ta cjevčica slijedeće godine ne bude prihvaćena kao stanište u koje će solitarne pčele odlagati jajašca, nego se moraju ukloniti iz prostora kolonije, uzgajališta. Zbog čega se dio kokona ne razvije u zdravog kukca još nam nije poznato. Ovi problemi smanjenja solitarnih pčela mogli bi izazvati veće ekološke i ekonomske poteškoće ukoliko im ne pomognemo. Ta mala i plemenita bića zaslužuju da čovjek i društvo prema njima bude daleko osjetljiviji nego što je danas. Postoji više razloga zašto trebamo čuvati solitarne pčele. Prije svega solitarna pčela leti pri nižim dnevnim temperaturama nego pčela medarica. Učinkovitost pri oprašivanju voćaka jedne ženke solitarne pčele može se usporediti sa učinkovitošću 120 letačica pčele medarice. Za oprašivanje 1 ha komercijalnog nasada jabuke potrebno je 500 ženki solitarne pčele ili 3 košnice pčela medarica s ukupno 60.000 radilica. Osobita je njezina korist u oprašivanju kruške. Naime, cvijet kruške luči miris amin koji pčela medarica baš i ne voli. Solitarne pčele ne preferiraju određenu vrstu cvijeta, bitno je da je voćka blizu, tako da su pogodnije za oprašivanje nasada kruške. Ne smijemo smetnuti s uma da solitarna pčela, leti uokrug 200 do 250 m od svog gnijezda, kućice. Stoga je za efikasno oprašivanje voćnjaka raspored kućica od velike važnosti. Kućice mogu biti od bambusa barske trstike Phragmites australis, izbušenih drvenih blokova, siporeks blokova i šupljikave cigle. U blizini voćnjaka dobro je postaviti natkrivena staništa od drveta, gdje treba postaviti bambus, barsku trstiku, zemlju, pijesak i vodu ili pak gotove kupljene kućice. Solitarne pčele nisu u nikakvoj konkurenciji sa pčelom medaricom ili pak bumbarima. Dapače, njihovim zajedničkim radom povećat će se broj plodova u voćnjacima. No, ne smijemo zaboraviti da je oprašivanje samo jedan od čimbenika koji utječu na urod naših voćaka. Vary considerably in size, appearance and where they choose to nest. Roughly 70% are called mining bees and nest in underground burrows. Bees that nest in houses are called cavity nesting bees. Hintermeier, H., Hintermeier, Margit (2002): Kinderzimmer für Mauerbiene und Lehmwespe, Kraut&rüben, 5/02: 34-35. O'Toole, C. (2000): The Red Mason Bee, Osmia Publications, Oxford. Why is a new reform necessary? The Common Agricultural Policy (CAP) is one of the oldest policies of the European Union (EU). It successfully fulfilled its original objectives of securing supply of good quality, safe and affordable food products while supporting European farmers. Since 1962, the CAP has undergone many reforms and its adaptability is what makes it still relevant. The world is moving fast and so are the challenges facing not only the farmers but our societies as a whole. Climate change, price volatility, political and economic uncertainty, growing importance of global trade: farmers need to learn every day how to operate in a changing environment and it is up to the legislators to accompany them throughout these changes and to provide legal clarity and simplicity in the medium and long term. The European agricultural policy turned the EU into the agri-food superpower that it is now: the EU if the first agri-food exporter globally, has an unparalleled reputation for its culinary heritage and food products, and for the savoir-faire of its producers. But the EU cannot be complacent: a success can also hide many individual difficulties. The CAP needs to lead the transition towards a more sustainable agriculture. The CAP needs to help foster the sector's resilience in times of crisis and support farmers' income and viability. The CAP needs to fully accommodate digital innovations that make the everyday jobs of farmers easier, reduce red tape and could favour the sector's much-needed generational renewal. The CAP needs to strengthen European rural areas, which are the core of our European traditions and family farm model. The Communication published today provides orientations in terms of addressing these objectives and meeting the emerging challenges, with a less prescriptive approach and greater subsidiarity at Member State level, to bring the CAP closer to those who implement it on the ground. How can the revised policy be discussed without knowing what the budget and the next Multiannual Financial Framework (MFF) will be? Money is a means to an end. The Communication discusses how to improve the CAP's value for money. Now is the time to reflect on our objectives and future architecture of the policy. This will steer the debate without prejudging the Commission proposal for the next Multiannual Financial Framework (MFF), expected for May 2018. Why does the Communication not contain more detail on some issues? The Communication points towards the challenges and opportunities ahead, puts forward orientations and indicates further paths to be explored. More debate and work will be needed over the next months to advance on the directions outlined therein and to refine concepts. The same way that the Communication outlines a less prescriptive approach and more subsidiarity, the Commission wants to continue the debate on practicalities with a wide range of stakeholders and co-legislators. Over the next months the discussion and work on the concrete objectives, architecture and design of the future policy will advance in parallel with the work on the next MFF. This will be done notably in form of an impact assessment exploring different options by making use of the elements gathered from stakeholders and citizens (e.g. the public consultation carried on in 2017, Re-Fit inputs, the Cork 2.0 conference "The CAP: Have your say” conference) and intensifying the collection and processing of evidence. Following the expected Commission proposal for the next MFF in May 2018, legislative proposals on the future CAP are expected before the summer of 2018. How will the future CAP be simpler for farmers and administrations in Member States? Who wants to measure their hedges because “Brussels said so”? Why would an Italian farmer face the same environmental requirements as a Finnish farmer though they farm in very different conditions? The future CAP will have common objectives and a set of measures to achieve the said objectives. From this common set of measures, Member States, either at national or regional level, will be able to pick their preferred panel of options to achieve the goals set at EU level. Moving from a one-size-fits-all to a tailor-made approach means that the EU requirements will be reduced to a strict minimum. The actual needs on the ground will be assessed and fed by Member States into a CAP strategic plan approved at EU level. We are aiming at establishing a pact of trust with our rural areas, with our farmers. The strengthening of farm advisory services for farmers and the full implementation of geospatial aid applications will also of course further support the simplification of aid applications and the implementation of investment measures. How will this new approach function in practice? The Union should set the basic policy parameters based on the objectives of the CAP, fulfilling the EU Treaty obligations but also the already agreed objectives and targets on for instance the environment, climate change (COP 21), and a number of sustainable development goals. Each Member State should establish a "CAP strategic plan", which would cover interventions in both pillar I and pillar II. This plan will tailor CAP interventions to maximise their contribution to EU objectives taking better into account local conditions and needs, against such objectives and targets. At the same time, Member States would also have a greater say in designing the compliance and control framework applicable to beneficiaries (including controls and penalties). These strategic plans would be prepared not in isolation but in the framework of a structured process and the Commission would assess and approve such plans. This would maximise the contribution of the CAP towards the EU priorities and objectives and the achievement of Member States' climate and energy targets. It would also enhance the EU added value and preserve a functioning agricultural internal market. While Member States should bear greater responsibility and be more accountable as to how they meet the objectives and achieve agreed targets, the new approach will continue to ensure a level playing field, preserving the common nature and the two pillars of the policy. Is it the first step to renationalise the CAP? This EU added-value has never been questioned and the CAP remains one of the flagship EU policies. Acknowledging that one size does not fit all is pragmatic. What are the local realities? What are the farmers' concrete circumstances? This is about acknowledging the varied agriculture, agronomic production potential, climatic, environmental and socio-economic conditions across the EU. It is about embracing our diversity instead of trying to impose one single model. The input gathered by the EU-wide online public consultation from February until May 2017 was strongly supportive of the added-value of managing agricultural policy at European level since this ensures a level playing field within the single market. Only with a common European approach can agriculture respond more effectively to the shared challenges such as environmental protection and climate action. The need to maintain economic, social and territorial cohesion across the EU as well as the need for a common framework of sharing best practices was also frequently mentioned. While the specific details of the implementation of the measures will be done at national/regional level, the EU will guarantee a well-defined regulatory and budgetary framework in order to ensure that our common objectives are met through common instruments, in line with the EU Treaties and to fulfil the EU's international commitments on climate and sustainable development. Why is the CAP relevant for the environment? Agriculture covers almost half the land surface area of the EU, and on that territory it works in a very close relationship with the environment. On the one hand, it depends on various natural resources - i.e. soil, water, air and biodiversity - and is heavily influenced by the climate. On the other hand, agriculture shapes the environment in which it operates - not only through its use of natural resources but also by creatingand maintaining landscapes that embody our European diversity and provide essential wildlife habitats. The CAP has an essential role in making farming's relationship with the environment and climate as mutually beneficial as possible. It also offers support in some cases to rural-based non-agricultural businesses which can influence the environment - e.g. in the forestry sector and other parts of the bio-economy. The future CAP needs to promote and support climate-smart farming, it needs to place sustainability at the core of its priorities and actions. How will the future CAP support farmers in protecting the environment? As a foundation, farmers receiving income support from the CAP will have to apply various environment- and climate-friendly practices. Member States will determine the detail of these - in line with the need to meet EU-level objectives but also taking into account national, regional and local circumstances. The system will draw on strengths currently observed in the CAP but will involve fewer and less complex rules in EU legislation. Eco-friendly action which goes beyond this foundational level of good practice will be supported through schemes which are voluntary for farmers - at a relatively basic level, and above that more advanced schemes. Once again, Member States will be responsible for designing the schemes, in such a way as to meet EU objectives translated into national, regional and local terms. The CAP will also place strong emphasis on unlocking the potential of research, innovation, training and the use of advice to improve care for the environment and climate, including through greater resource efficiency. If you entrust environmental commitments to Member States, how can you ensure a level playing field among farmers? Will we end up with 28 different systems? Today's Communication marks a significant step change in the implementation of the CAP. Respecting the commitment to subsidiarity and less complexity, the Commission's scrutiny of national/regional plans will ensure that choices made are not manifestly mistaken or inadequate to meet the performance objectives and the basic EU requirements. The Commission would assess and approve the national/regional strategic plans with a view to maximising the contribution of the CAP towards the EU priorities and objectives and the achievement of Member States' climate and energy targets. This is important to ensure the maintenance of a common approach to the delivery of environment and climate objectives across Member States. Increased ambition is the only viable policy option in this regard. The Commission will also maintain its key roles as guardian of the Treaties and as the institution ultimately responsible for the management of the EU budget and, as part of the process of scrutinising national/regional plans, the Commission will look carefully at how to avoid over-regulation. Are the two pillars (direct payments/market measures and rural development) remaining in place? The two pillars are two complementary facets of the CAP, which should remain in place. They structure the CAP around two essential broad types of intervention. The first pillar supports farmers on an annual basis in the form of direct payments and market measures, which are subject to compliance with basic rules and environmental objectives. The second pillar is a multiannual and flexible investment tool, more adapted to the local realities of each Member State, in particular to help support longer term projects. How can we ensure that the future CAP will be fairer and that smaller and medium-sized farms will get the support they need? In 2015, the first year of implementation of the last CAP reform, 20% of farmers received around 80% of direct payments. This raises understandable concerns of economic efficiency and social equity in the public debate. In fact, this reflects the concentration of land and the nature of the support, which is largely area-based. Furthermore, more than half of its beneficiaries are very small farms and most of the payments (72% in 2015) go to medium-size professional (family) farms (from 5 to 250 ha) who manage most of the EU agricultural land (71%) hence are the main responsible for the delivery of public goods and environmental benefits. Ensure support to genuine farmers, focussing on those who are actively farming in order to earn a living. At the same time as the CAP is ensuring that support is targeted to genuine farmers, focussing on those who are actively farming in order to earn their living, it also needs to play its role in following the principles of "Equality between its Members, big or small, East or West, North or South", which were recalled by President Juncker in his State of the Union address of 2017. In this sense, it should reduce differences between Member States in CAP support. Even if the wide diversity of relative costs of labour and land as well as the different agronomic potentials across the EU should be acknowledged, all EU farmers face similar challenges with regard to market volatility, the environment and the climate. What is the role of the CAP to promote rural prosperity? The CAP is not only acting on the farming sector, but helps boosting local rural economies and enhancing rural prosperity. Rural development funds can for example support the setting up of an artisan's business. New jobs' opportunities and increase of growth potential can appear in rural areas through support of new rural value chains such as clean energy, the emerging bio-economy, the circular economy and ecotourism, investments in infrastructure, natural and human capital, including vocational training, programmes to develop new skills, quality education and connectivity. “Smart villages”, as an emerging concept, will help communities address issues of inadequate infrastructures and employment opportunities. How can the Commission encourage the setting-up of young farmers and generation renewal in the sector? Generational renewal should become a priority in a new policy framework, but Member States are in the best position to stimulate generational renewal using their powers on land regulation, taxation, inheritance law or territorial planning. The CAP should give flexibility to Member States to develop tailor made schemes that reflect the specific needs of their young farmers. The CAP strategic plans could include support for skills development, knowledge, innovation, business development and investment support. The CAP should also help mitigate this risk in the first years after launching a farming business by providing an EU-wide system of support to the first installation. Access to financial instruments to support farm investments and working capital should be facilitated and better adapted to the investment needs and higher risk profiles of new entrants. Support to the new generation of farmers could be combined with the appropriate incentives to facilitate the exit of the older generation and the transfer of knowledge among generations as well as to increase land mobility and facilitate succession planning. Why does the CAP need to support innovation? What is the rationale? Agriculture and our rural areas face a number of challenges for which new solutions need to be found. We need better advice and more innovation. Public involvement in research and innovation is necessary to bridge the gap between rural areas in demand of digital innovations and better connectivity and providers of new technologies. For example, sensors could detect and prevent poor health in animals early on and reduce the need for treatment. Real-time access to information about sunlight intensity, soil moisture, markets, herd management and more provides for better and faster decisions by farmers. It makes sense to cooperate on research an innovation at EU level. By learning from each other in different parts of the EU we will develop better knowledge and will adopt innovation faster. When facing volatility and market crisis, what kind of support can the farmers expect from the future CAP? Be it sanitary or phytosanitary crises, climate change-related events or market volatility, farmers face high risks and pressure on incomes. The Commission has always and will always stand by farmers, as evidenced by the two latest solidarity packages each worth €500 million, but the higher frequency of risks calls more a more systematic approach. The farming sector needs an adequate framework for risk management, which combines EU-level support with Member States' national tools and private sector instruments. For example, the possibility to set up a sector-specific income stabilisation tool, with lower loss thresholds to trigger compensation, is expected to make it more attractive for both farmers and administrations. At the same time, a careful assessment needs to be carried out as to whether new tools or types of support should be introduced. In this context, cooperation among farmers and along the food chain should be fostered, including mutualisation and integrated services, for risk sharing purposes. What will the EU-level platform on risk management entail? The limited awareness of farmers and other stakeholders of the available tools and their relative lack of experience in implementing them has been one of the main barriers to the uptake of risk management instruments in the last few years. The EU-level platform on risk management will be a platform for all actors involved, from farmers and public authorities to research institutes and private sector players (ex. 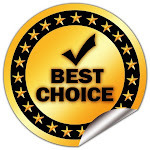 insurance companies) to share knowledge and exchange best practices. The Commission will be involved, as appropriate, as a facilitator and will develop the platform on a dedicated website. Under the platform, expert groups, working panels, seminars and events will be organised around specific risk management topics, e.g. loss calculation using index-based systems. 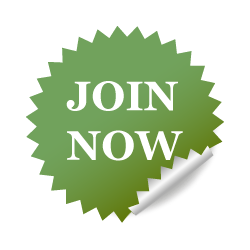 Moreover, the platform will offer the possibility to gather together private or public initiatives on risk management at local level, and relevant work in other policy fields, e.g. climate change adaptation, agro-meteorology, etc. Why should the CAP stimulate investments and how can financial instruments support farmers? A flexible CAP investment tool is essential to support competitiveness, innovation, climate change adaptation and mitigation and ultimately the sustainability of agriculture and rural areas.Modernising a farm, setting up new technologies, renovating irrigation systems are all actions that require a lot of frontload money and are substantial financial efforts that farmers cannot be expected to do all on their own. The public funds available for grants are not sufficient to address the growing investment needs of the sector. Rough estimations show that the market gap for financing agriculture is between €1.6 and €4.1 billion for short-term loans, and between €5.5 and €14.8 billion for long-term loans. Financial instruments, such as loans, guarantees and equity funds, can ease access to finance for those farmers (e.g. small holders, new entrants, etc.) or agri-food producers, who find it difficult to obtain the necessary funds to either enter the business or develop it. By bringing together EU and private funding, they shall have a multiplier effect, i.e. increased investment volumes (leverage).